When I was 22, I worked as a Sales Associate in L'occitane - a luxury French skincare company founded in Provence, in the southern countryside region of France. Before working for L'occitane, I had never even heard of Provence! But it wasn't long before I started to fall in love with this place, and all because of one large photograph hung up on the bright yellow wall in the shop that I used to work in. The fairy-tale like scene of a mighty yet isolated tree standing in a field of lavender, canvassed against a gentle blue sky had me under some kind of magic spell. I was obsessed with the photo and with anything Provencal. So I popped Provence on my travel wish-list, and this summer I finally made that wish come true. 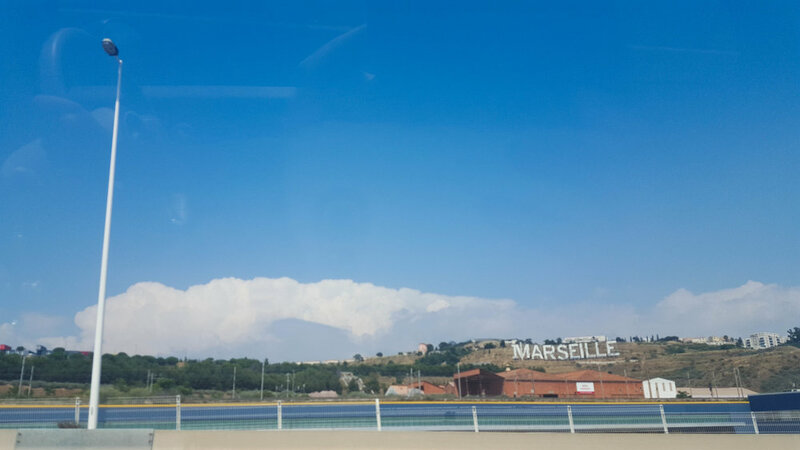 After landing in Marseille by plane, I took a car into the French countryside of Provence - and what a scenic drive it was! Some of the dirt-tracks and green fields reminded me of the villages in Punjab. 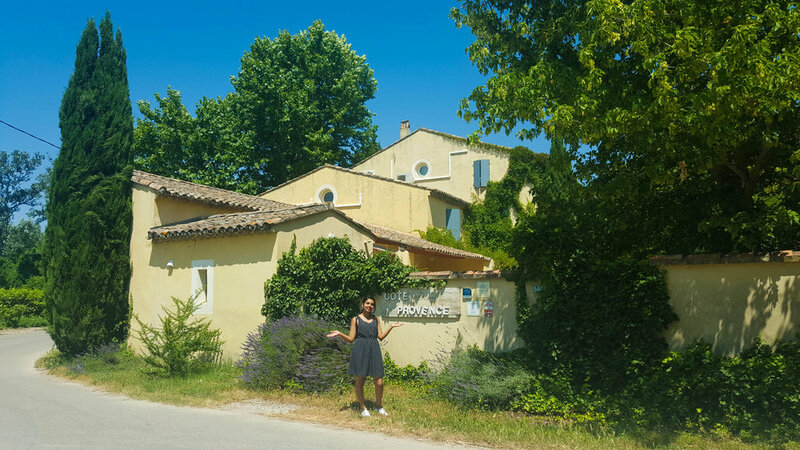 I stayed in Cote Provence B&B, which is run by a wonderful family who have opened up their home to guests. Their home (tucked away in a little village called Le Thor) left me speechless and completely exceeded my imagination. Have a scroll through the pictures to see what I mean! The interior was furnished in the fashion of a typical rustic farmhouse. The huge garden and grounds of the B&B feature a swimming pool, outdoor games (badminton, table tennis, and petanque ), and the serenity of the nearby river passing by at the bottom of the garden. I explored the region by car and by bike on a mini adventure of finding the region's famed fragrant fields of 'Blue Gold', aka Lavender. There are a few fields near to the B&B (such as the one in the image above) but the main fields are to be found in and around Apt, Gordes and Valensole. Just a whiff of the soothing scent of lavender was enough to put my mind and body at ease. You can turn up the adventure dial by braving the climb to the summit of Mont Ventoux (Windy Mountain), aka the Giant of Provence. As I was driven up and around the mountain, I witnessed a few fit cyclists pedalling uphill with all their might. Some would call that madness. Others would call it literally living life to the edge. Atop the mountain it was slightly cold (so bring a jacket!) and there was an eerie quietness all around, save for the odd gust of wind here and there. But the view of the Provencal landscape was simply spectacular and is not to be missed, unless you have a fear of heights. 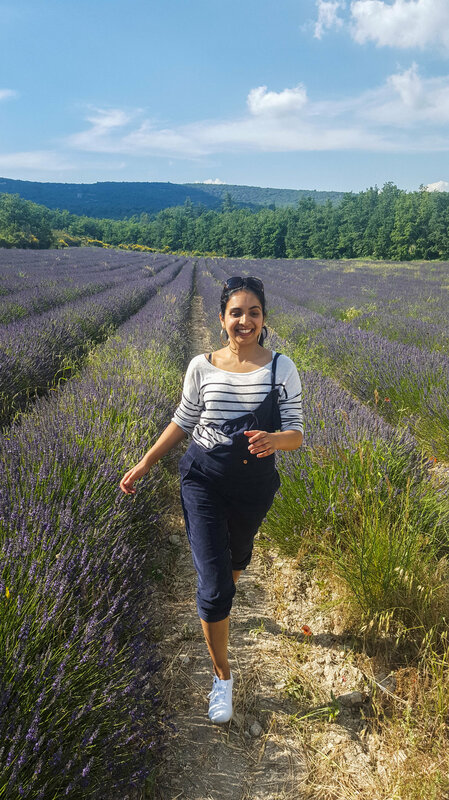 My weekend break to the sleepy villages of Provence was the ideal getaway into the calm of the southern French countryside, away from the cacophony of city life. A word of warning: best to head to the fields early morning or early afternoon, as tourists (with their phones and cameras in tow) swarm to the fields; unlike the very bumblebees that you will find hovering from one stalk of lavender to the next. Mind you, the bees were harmless, whereas the tourists were not!